The release of Said the Shark's new album, Silly Killings, is drawing nearer and it has already received it's first two reviews from KBH Magazine and Where To Go Magazine. They've both given the album 5 stars! It will hit stores on March 17 and on Thursday March 13, the band will throw a release party at Loppen, Cph at 21.00. There will be free beer if you arrive early and the band will play songs from their new album. 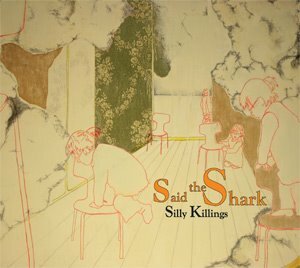 You can already pre-order the new Said the Shark album Silly Killings from Targetshop.dk and receive free full album mp3's up to two weeks prior to the album's March 17 release.